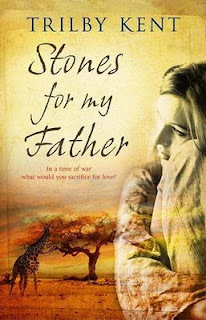 It's my pleasure to introduce Trilby Kent, the talented writer behind the novel Stones for my Father, which comes out later this month (read my review here). Thank you for taking some time out of your busy schedule to answer some questions, Trilby! It's greatly appreciated. Stones for my Father is rich in history. Was there anything you learnt in particular about the Boer War that fuelled your desire to tell such a story? Mainly the fact that it really was the major conflict of its time – both in terms of global involvement as well as lives lost – and yet despite the fact that only a century has passed, so few people today know much about it. There’s a good helping of Boer dialect in the novel. How important was it for you to create a sense of authenticity through this use of language? Very – I have too many South African family members to risk getting it wrong! At the same time, I didn’t want to exclude the reader by using too many unfamiliar words. The look and sound of Afrikaans is so evocative, though. My hope was that, even if the precise meaning of a word wasn’t immediately clear, its sense would be. Would you consider re-telling the story from the point of view of a different character, such as Sipho? Definitely. The only thing that would scare me slightly is that there’s so little material, relatively speaking, on the African experience of the war, and I’d be worried about getting the account of Sipho’s experience ‘right’. That said, I’d also love to continue Corlie’s story. What is one thing you hope readers will gain from Stones for my Father? Simply to feel that they’ve been to another place, another time, and that they won’t want to leave by the story's end. Which authors have inspired your style of writing? Most writers I’ve read have influenced me in some way, I’m sure. With this book, the Flemish young adult author Anne Provoost was a particular inspiration. I love the clarity of her prose, and the way she tackles big issues without melodrama. Is there a piece of great writing advice you have been given and would like to pass on? Read! And then read some more. There’s no better tutor than a great book. Finally, are there any other projects that you are working on at the moment? If so, where can we keep updated? I’m currently in my third year of a creative writing PhD, for which I’m writing a full-length novel set in a boarding school on a North Sea island in the 1950s. I’m also itching to get stuck in to another YA novel – perhaps something about the Spanish Civil War, or possibly something entirely different. I’m a bit of a luddite, so I don’t have a blog, but I can be found lurking on Twitter as @trilbykent.